The Nistkasten Adventure - a birdy, a birdy, my kingdom for a birdy....! : Quick Update! Last night, at ca. 20:45 all 7 hatchlings left the nest (nesting box #1), this morning at ca. 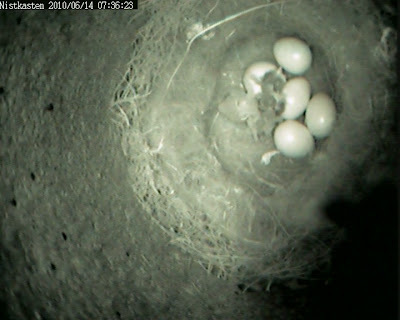 6:30 2 eggs hatched in nesting box #2. Mother and father are now busy keeping them warm and feeding them. 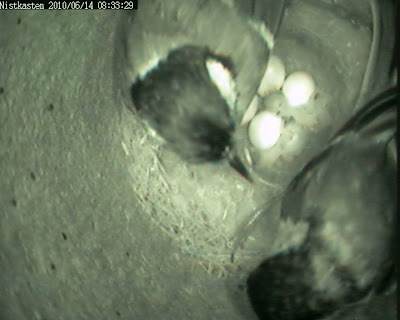 I will post images and videos of nesting box #1 soon! Aaaah...the wonders of nature and life!